Includes a 90 day warranty for parts and labor. The CubeProDuo 3D Printer prints in ultra high-resolution with multi-color and multi-material printing. 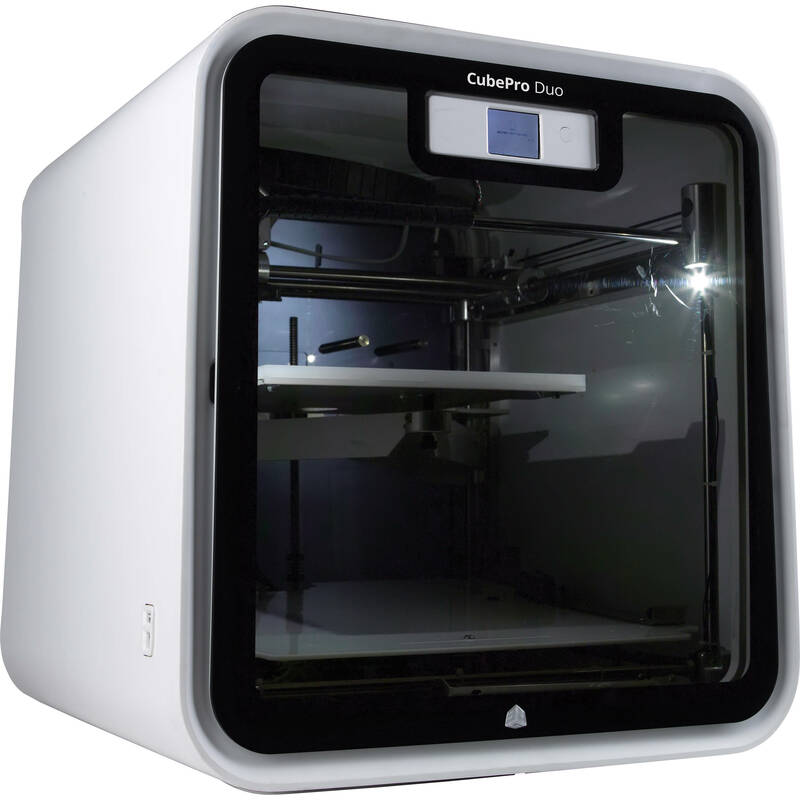 The cube pro duo prints up to two colors per print from ABS, PLA, and durable Nylon materials. 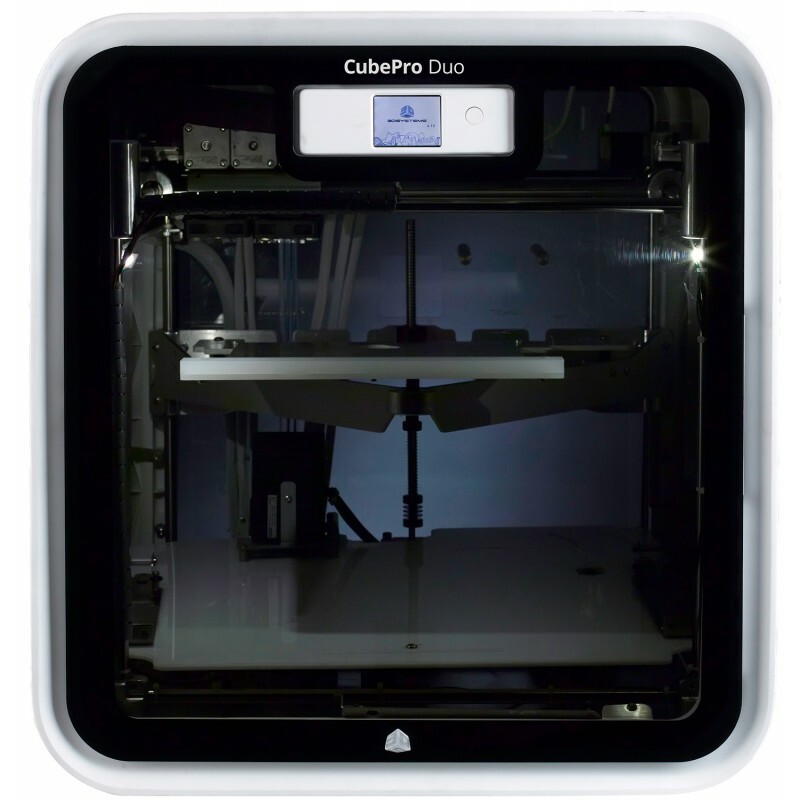 Printouts are large and accurate with the CubeProDuo which features the largest-in-class build platform. 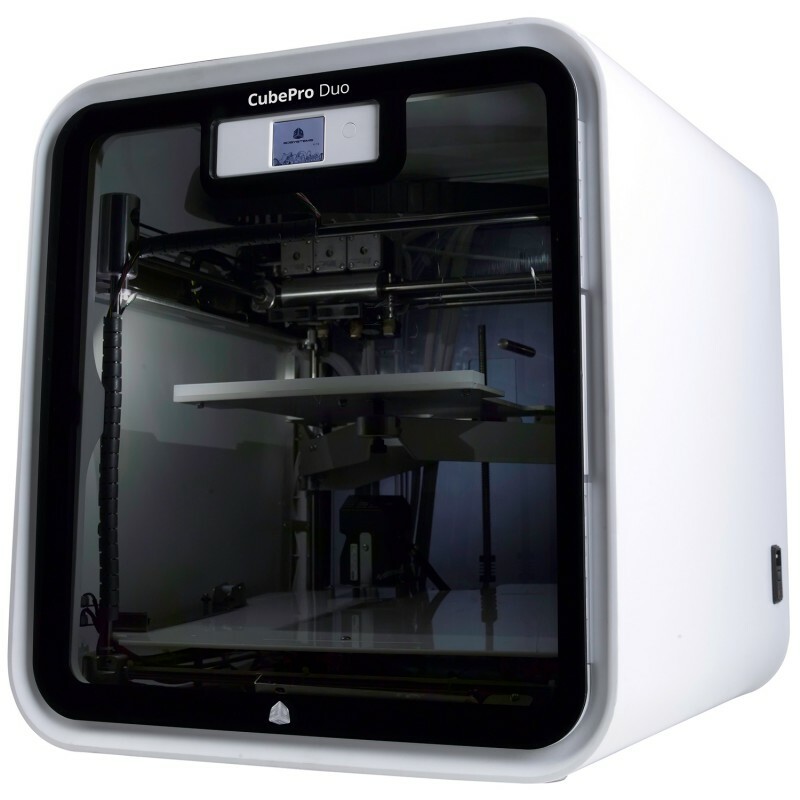 With the cube duo printer you can create working prototype models and parts. BUILD VOLUME: Double Head: 229mm x 273mm x 241mm. 2 cartridges (red and white) + 25 professional grade models included with your printer.